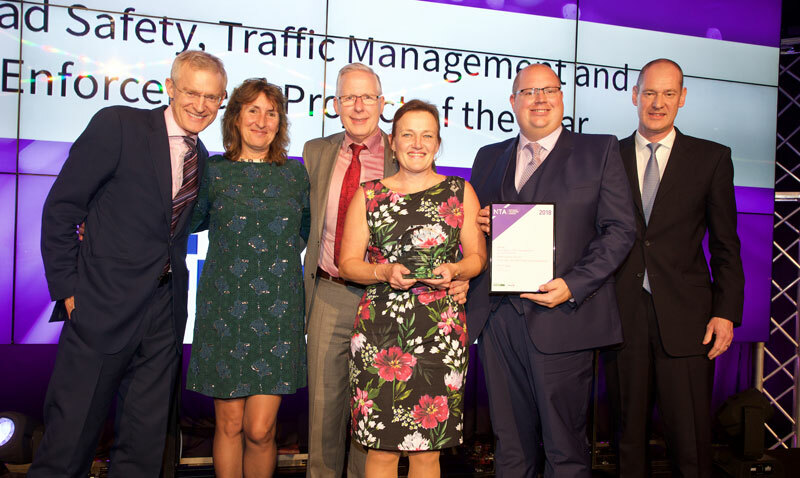 The scheme won the ‘Road Safety, Traffic Management & Enforcement’ category at the National Transport Awards 2018 presentation ceremony, which was held in London on 11 October. Extra Eyes encourages road users to submit footage showing dangerous road user behaviour, in a bid to reduce crashes and save lives on roads across Essex, Southend-on-Sea and Thurrock. Having reviewed the footage, where appropriate, offenders are offered a driver improvement course at their expense in order to educate them and ultimately improve their attitude towards driving. Where the criteria for one of these courses is not met, a fixed penalty notice or escalation to court proceedings may follow – with the footage used as evidence. Between January and July 2018 – Essex Police received nearly 1,500 Extra Eyes submissions. The National Transport Awards Awards, organised by Transport Times, celebrate the successes of national and local transport schemes – projects which have shown the judges the tangible results they’ve achieved. The 2018 awards ceremony was hosted by the presenter, broadcaster and journalist Jeremy Vine, and the keynote address was delivered by Chris Grayling MP, secretary of state for transport. The other shortlisted organisations in the Road Safety, Traffic Management & Enforcement category were Carnell Support Services and Kier Highways, Clearview Intelligence, London Borough of Hillingdon, Portsmouth City Council, Scotland TranServ and Transport for London. “I am delighted the partnership has won this prestigious award in recognition of its innovation and hard work and I applaud all the staff involved in the development and execution of this initiative. “The Safer Essex Roads Partnership is passionate about achieving its aim to reduce fatalities and serious injuries on the roads and we have all worked really hard to get the Extra Eyes project off the ground.